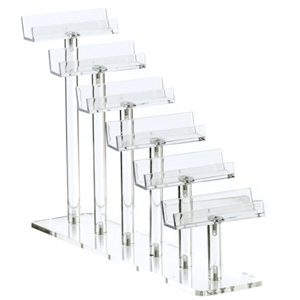 This Acrylic Eyewear Counter Display is manufactured from durable clear acrylic . The clear acrylic provides a neutral backdrop for the counter display that can be used in a retail store or optical office facility. This professional display will match any décor and is equipped to hold (6) pairs of eyewear frames.